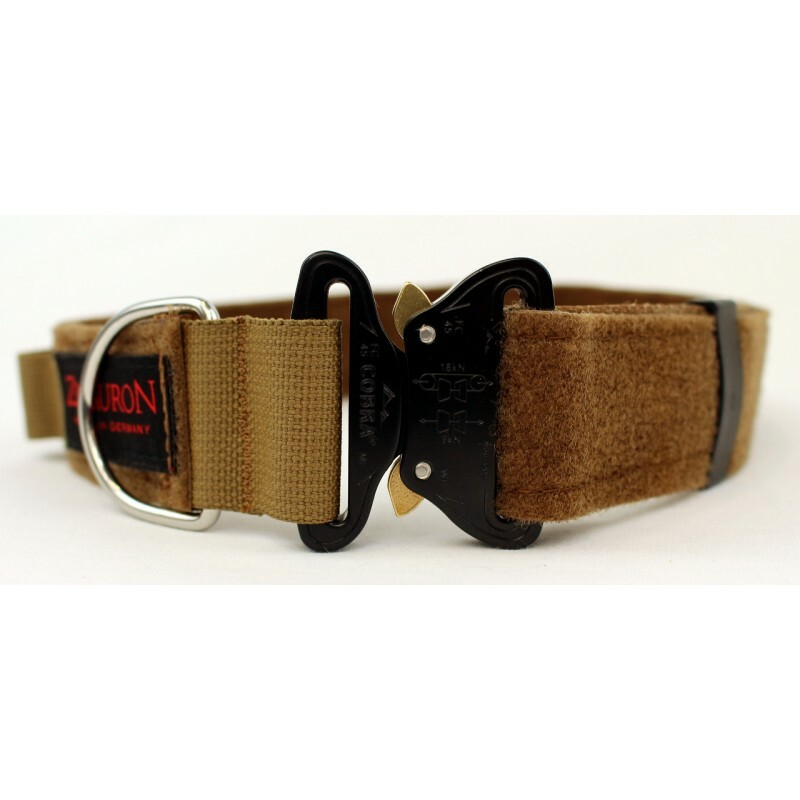 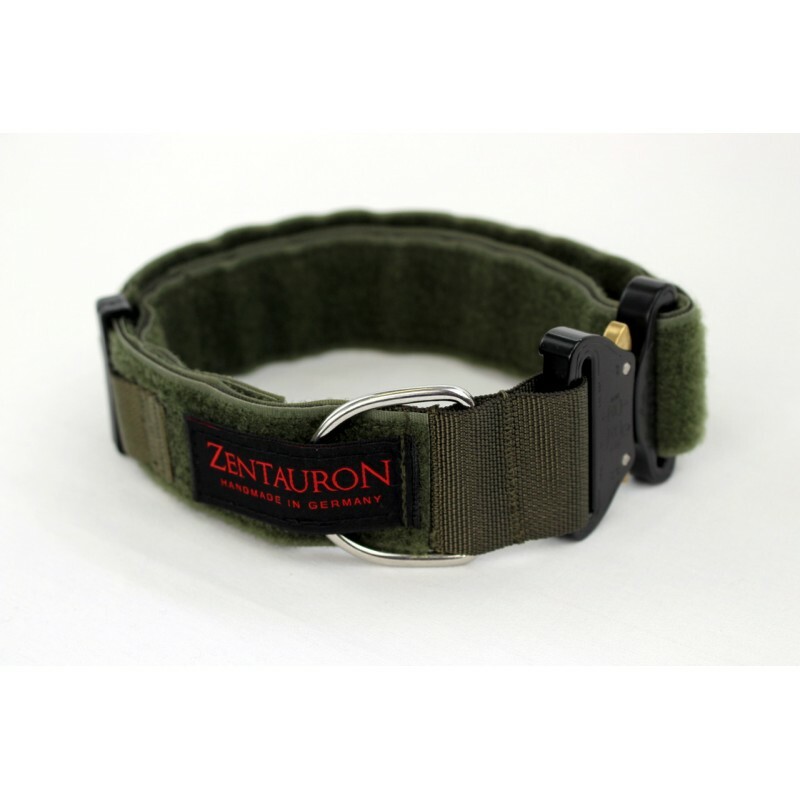 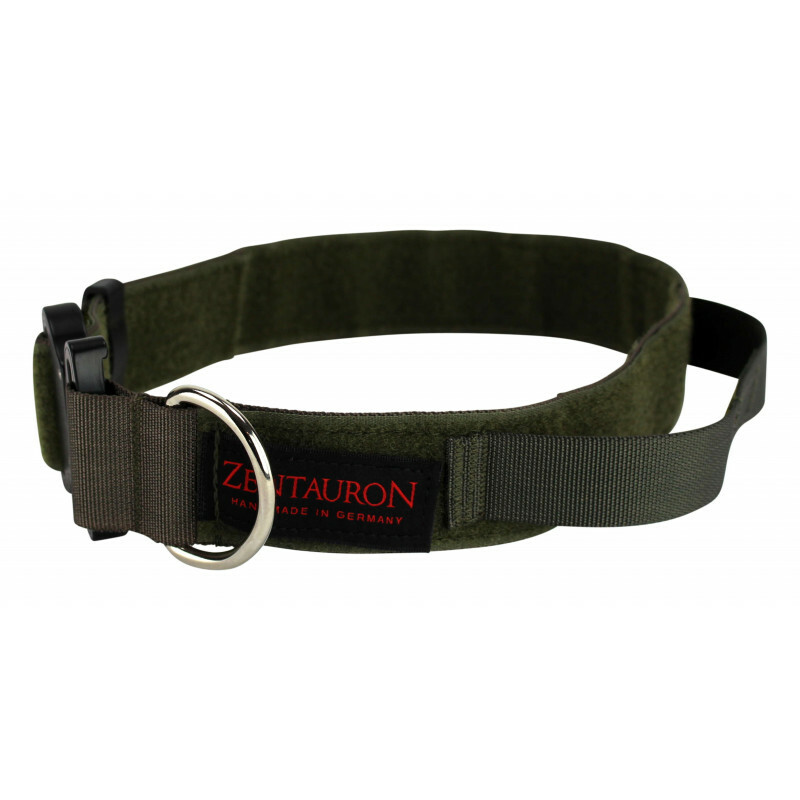 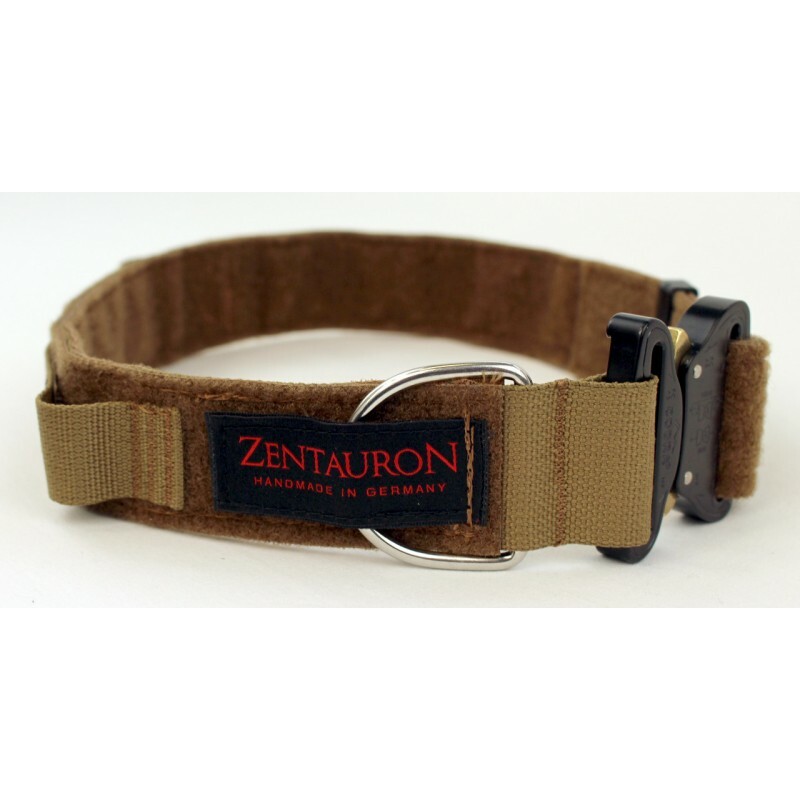 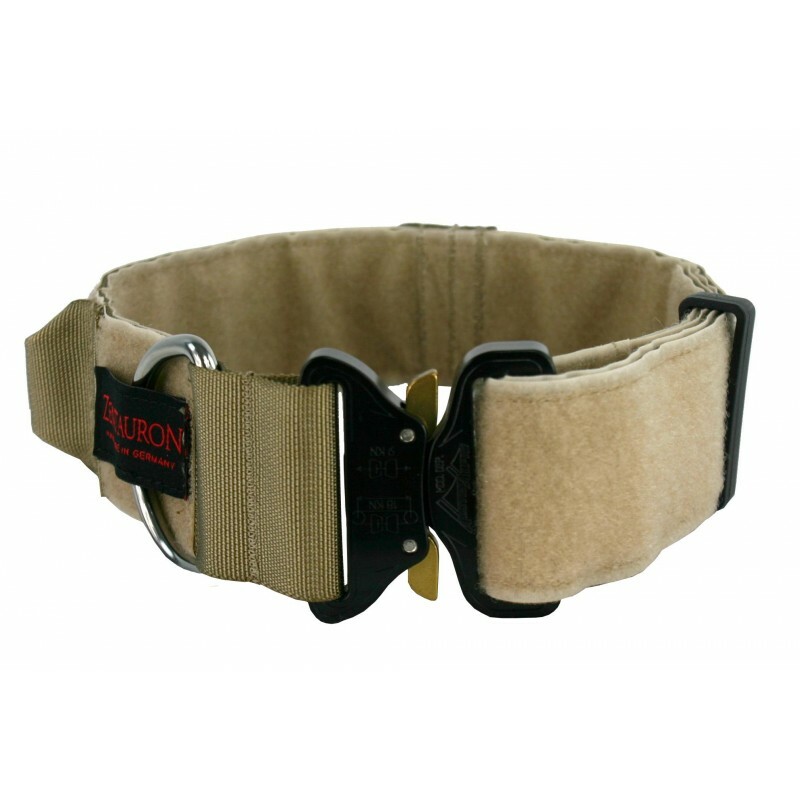 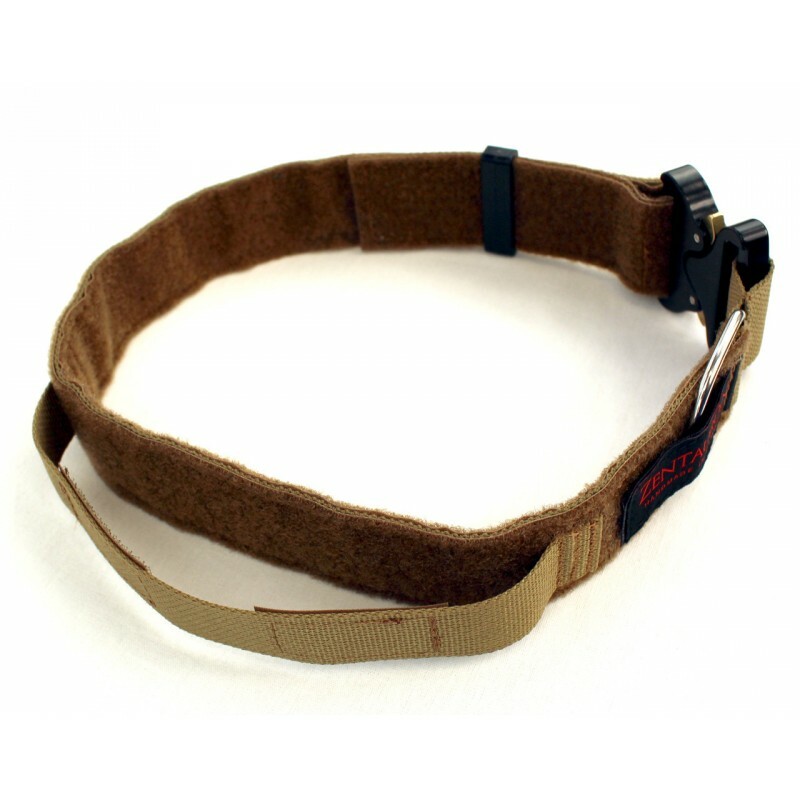 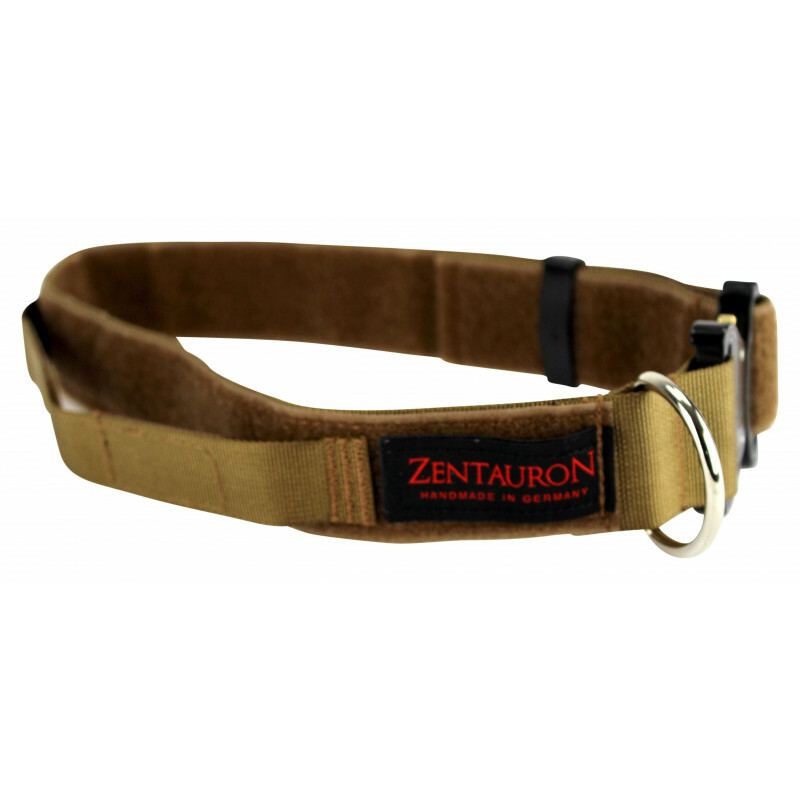 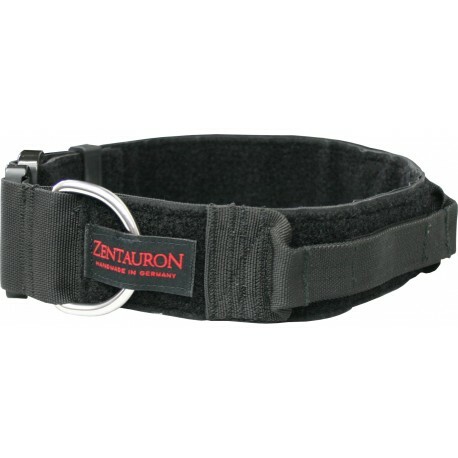 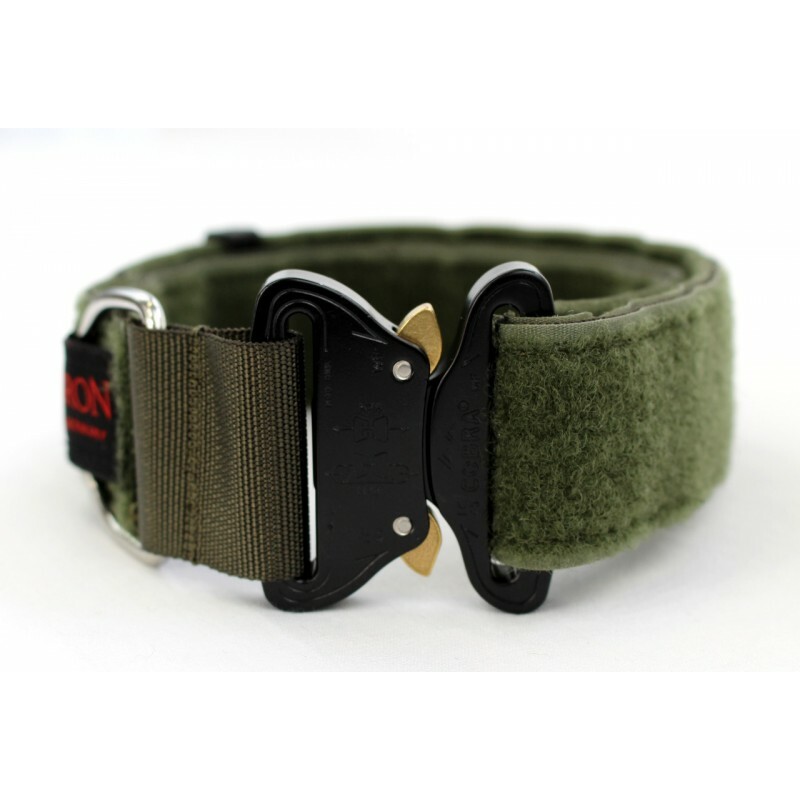 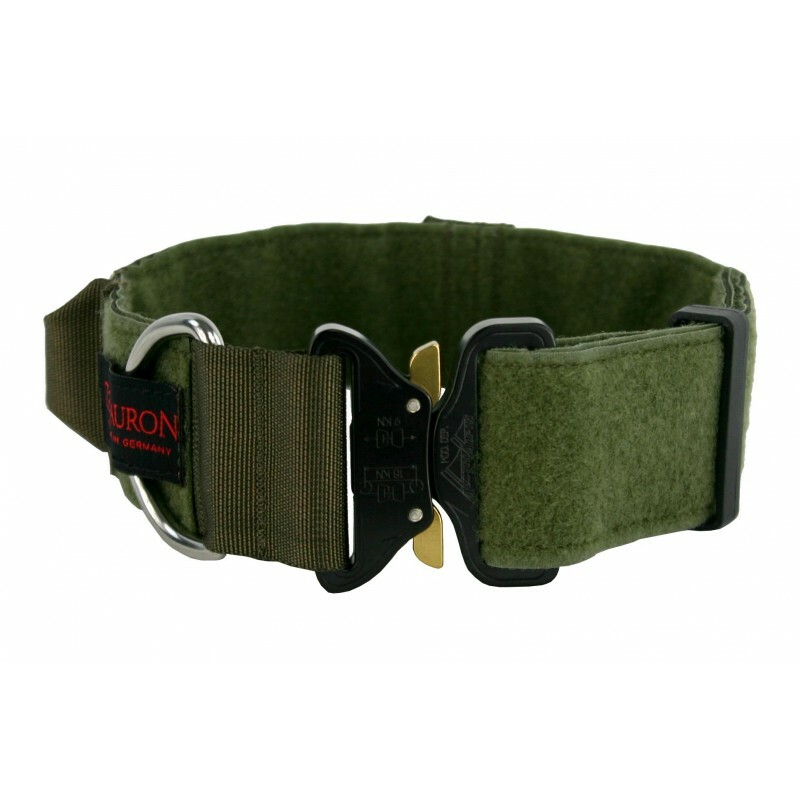 The „Dog Collar Chester Rugged Control“ is developed for a quick grasp to the dog, a wide handle is sewn in the collar. 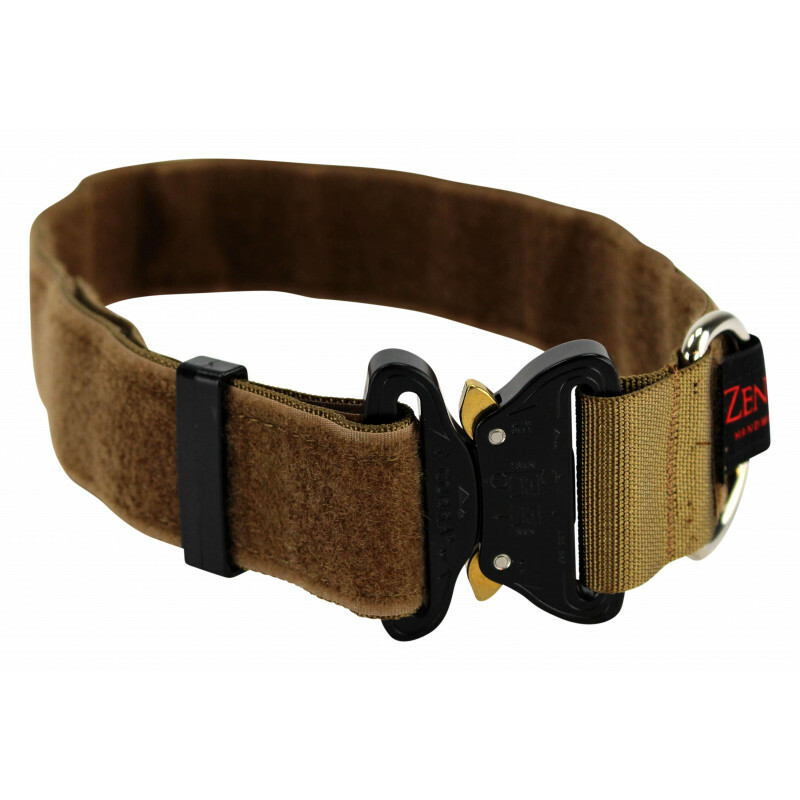 This ensures, that you can hold the dog safe and secure even in a close-up area without a leash. 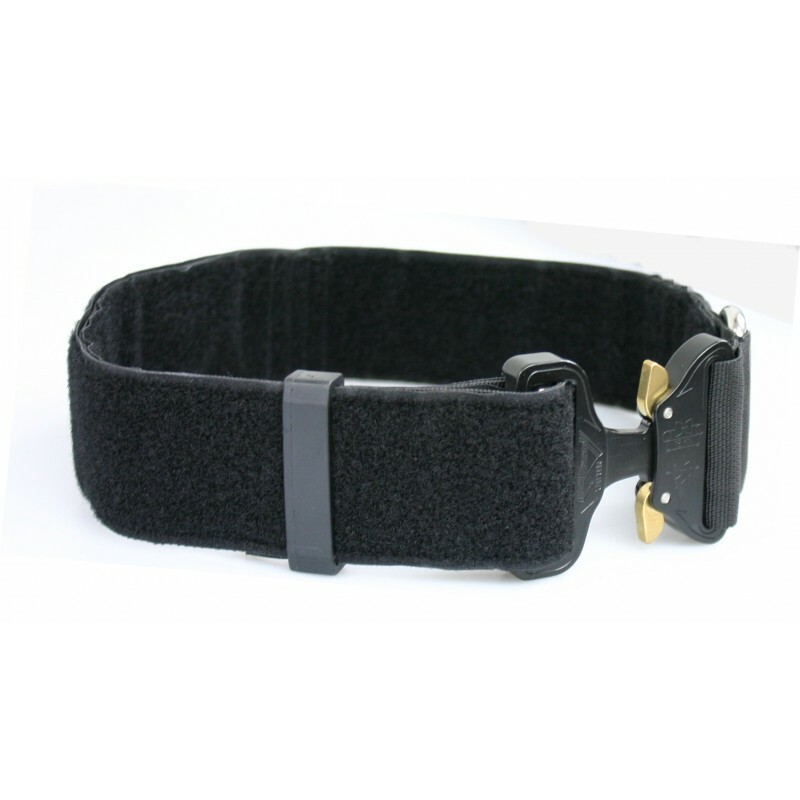 When not in use, the handle can be locked securely to the collar by Velcro. 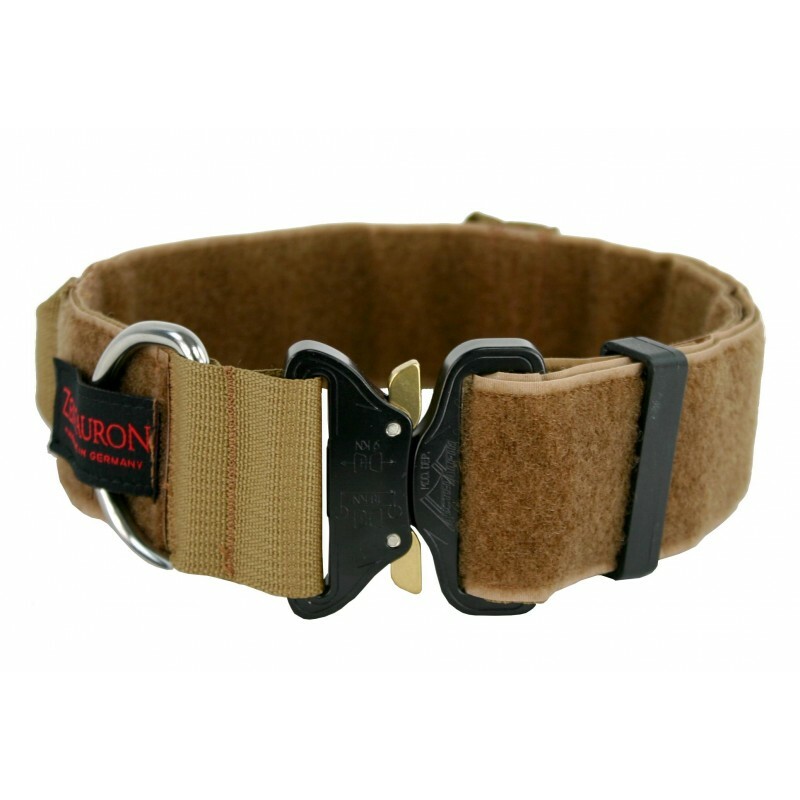 We have retained all the tried and tested military materials and added an Austri-Alpin Cobra Buckle. 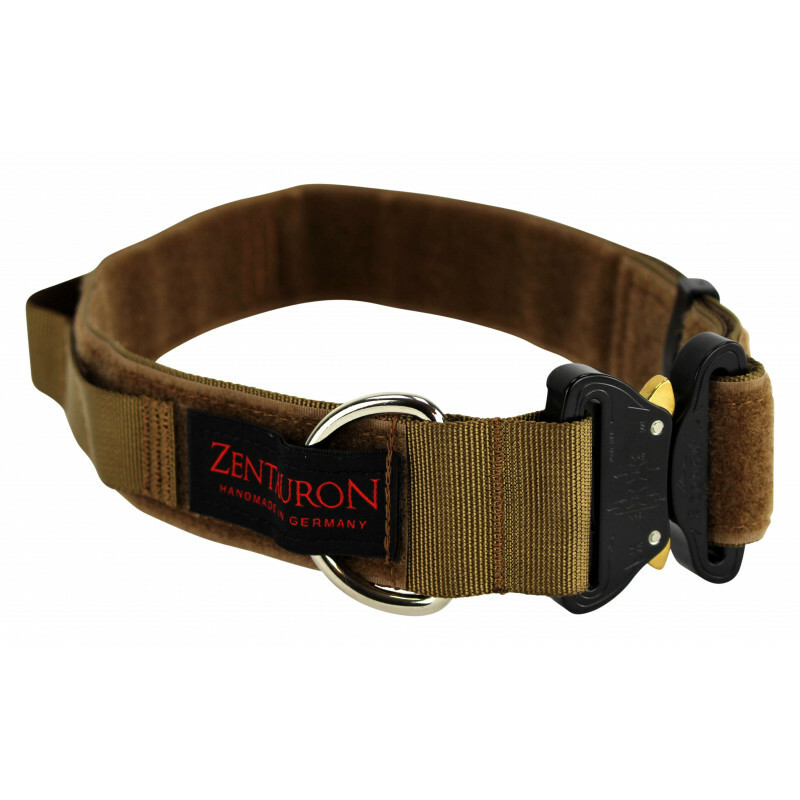 The times, when filth or grunge prevented the opening or closing of the dog collar, belongs to the past. 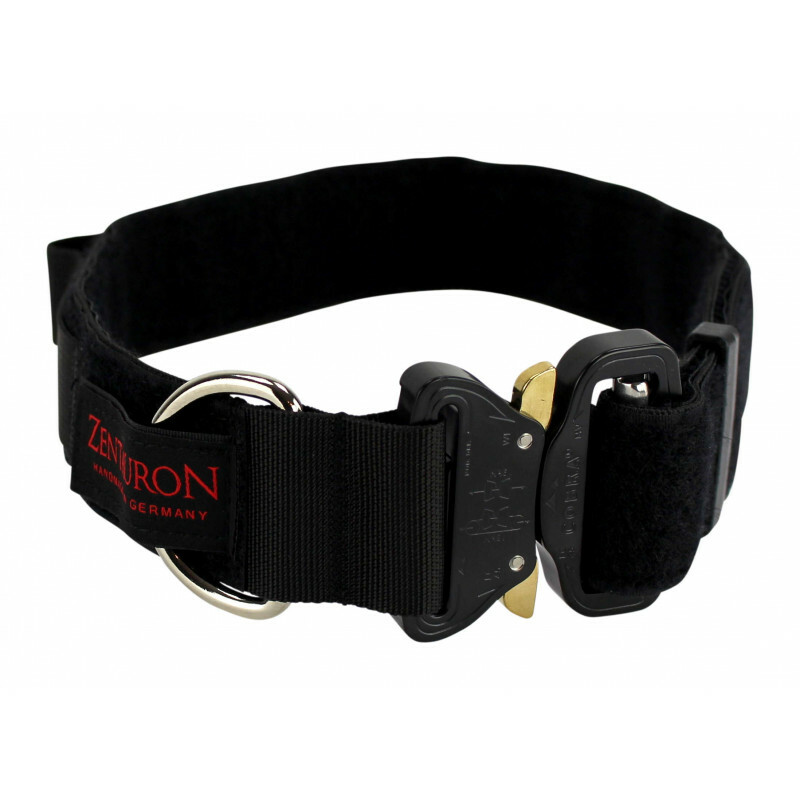 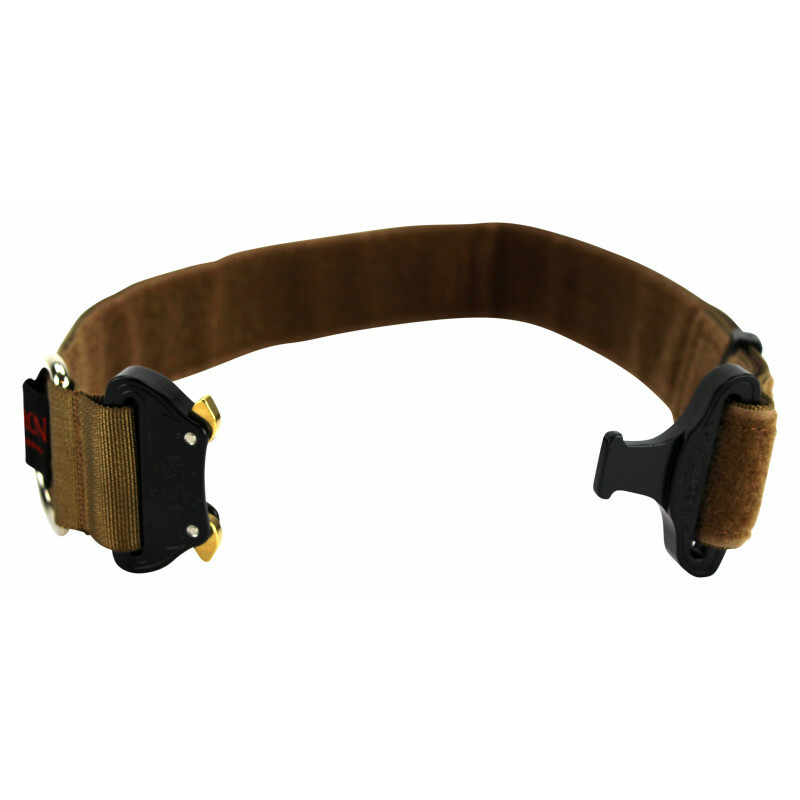 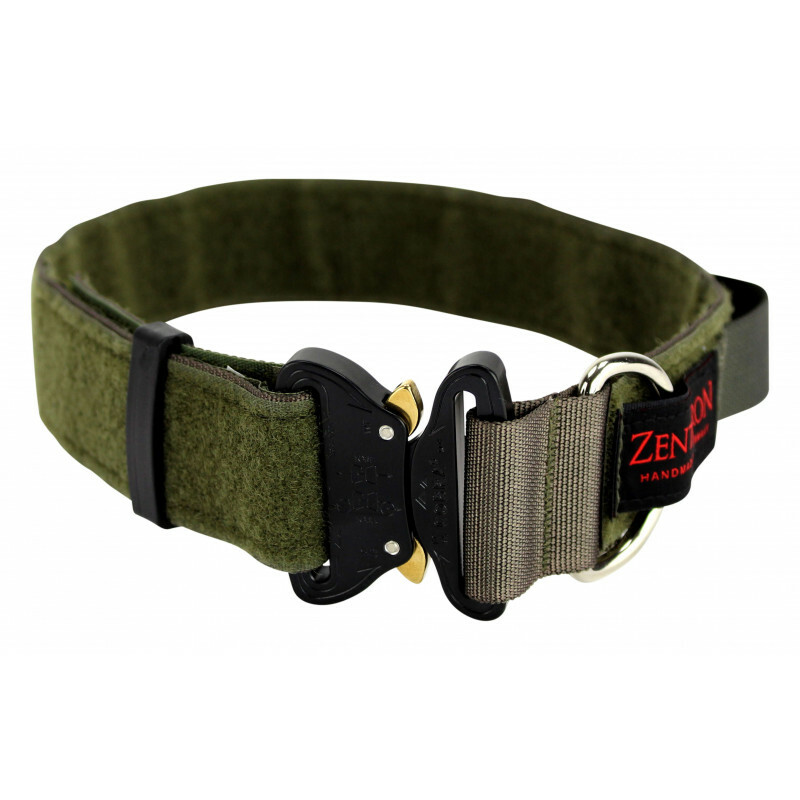 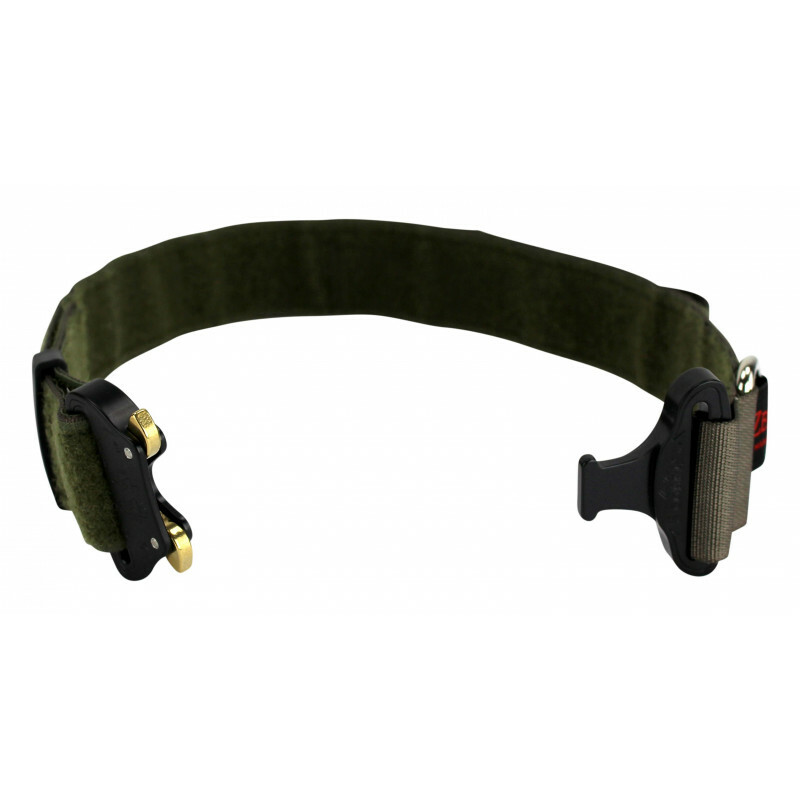 The dog collar Chester Rugged Control have been tested on the field of service and rescue dogs. 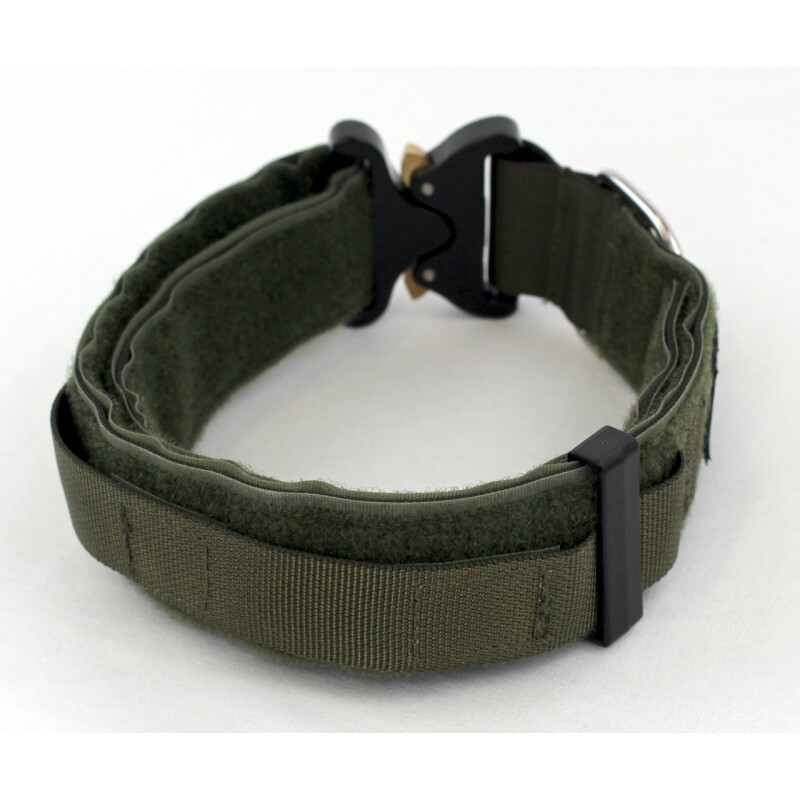 It's a collar, where you can rely on. 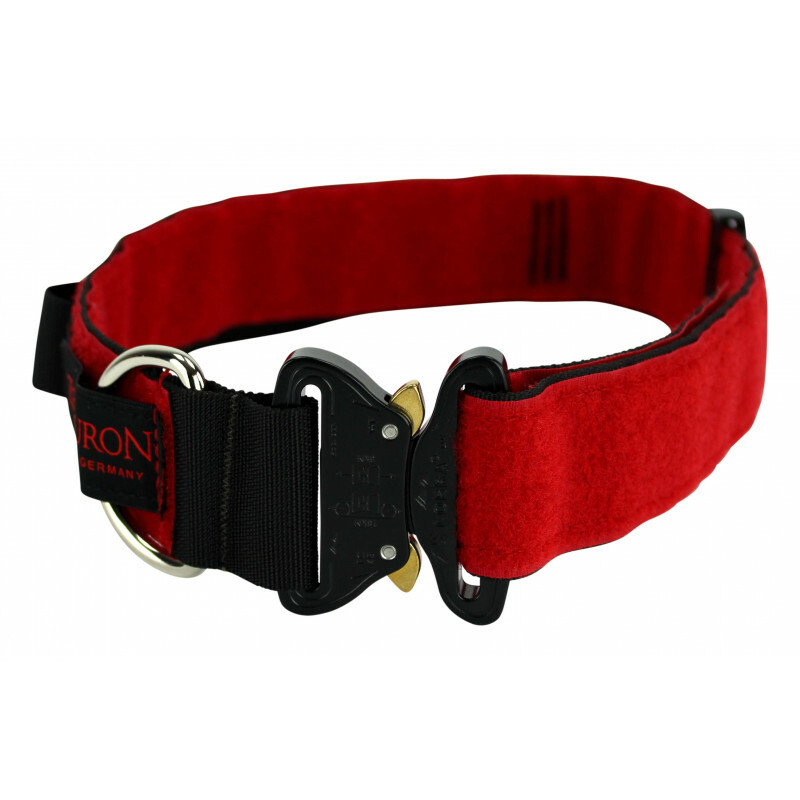 Through the complete sewn on fleece-velcro-fabric inside and outside, you can attach ID panels, patches, reflexion-surfaces or even training-collars and remote trainers easily and uncomplicated. 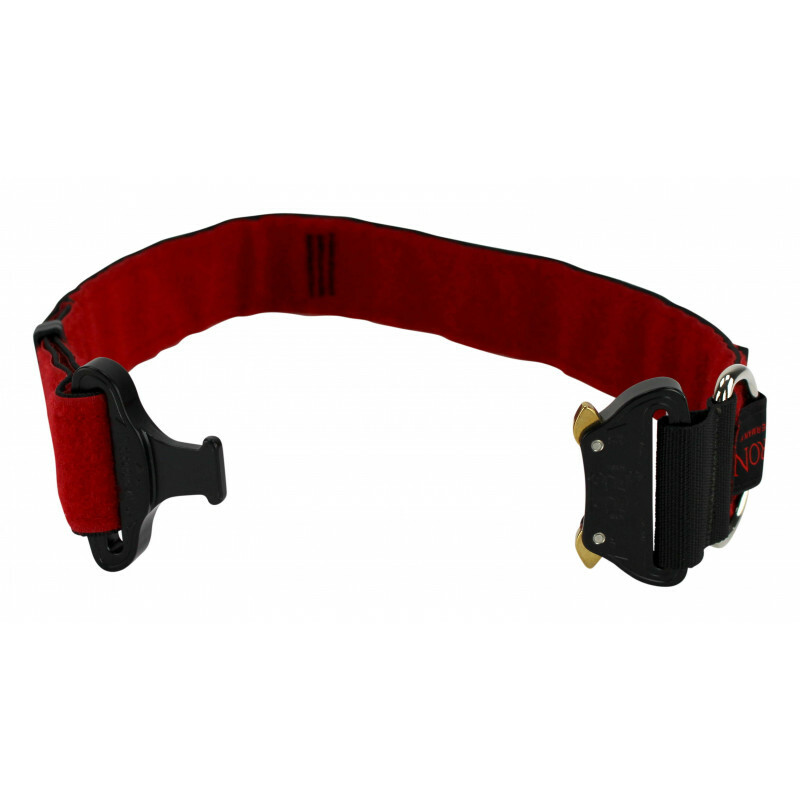 * applies to deliveries within Germany, delivery times for other countries can be found on the payment and dispatch page.